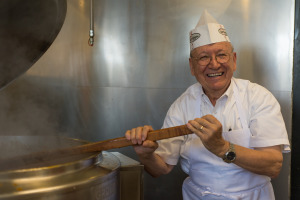 After Smithsonian online declared Camp Washington Chili an American food icon, the Cincinnati Enquirer‘s Cliff Radel featured Johnny Johnson in the Sunday “Our History” section. 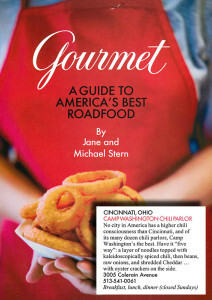 In their supplement to Gourmet magazine, A Guide to America’s Best Roadfood, Jane and Michael Stern cited Camp Washington Chili as a must-try while in the Great Plains. 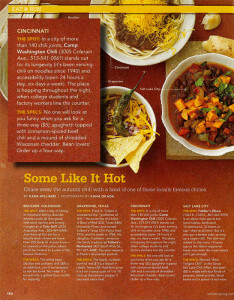 Kara Williams, contributor to Every Day with Rachael Ray magazine listed The Camp among her four famous regional chili recipes. In a city of more than 140 chili joints, Camp Washington Chili stands out for its longevity and accessibility. 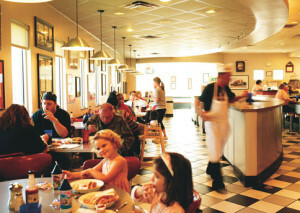 The place is hopping throughout the night, when college students and factory workers line the counter. Weston Scott from Attack of the Show! 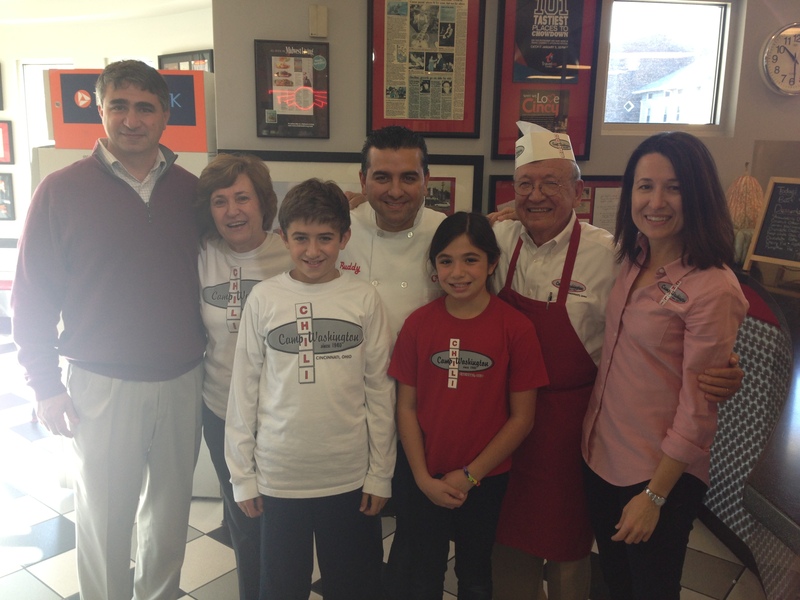 visited Camp Washington Chili and created this video for Huffington Post. 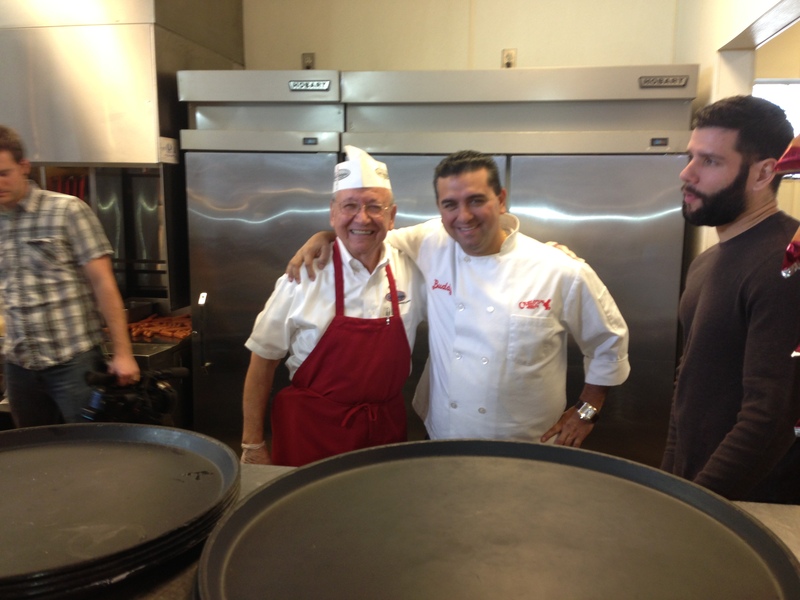 Though he tried, Weston was unable to get Johnny Johnson to share the secret recipe. 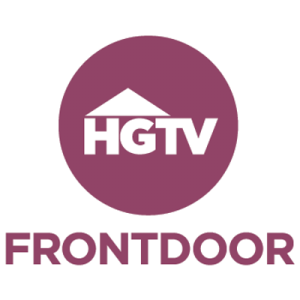 Geoff Williams and Liz Gray from HGTV’s FrontDoor list Camp Washington Chili among Cincinnati’s best spots to eat, drink, shop, play and more. 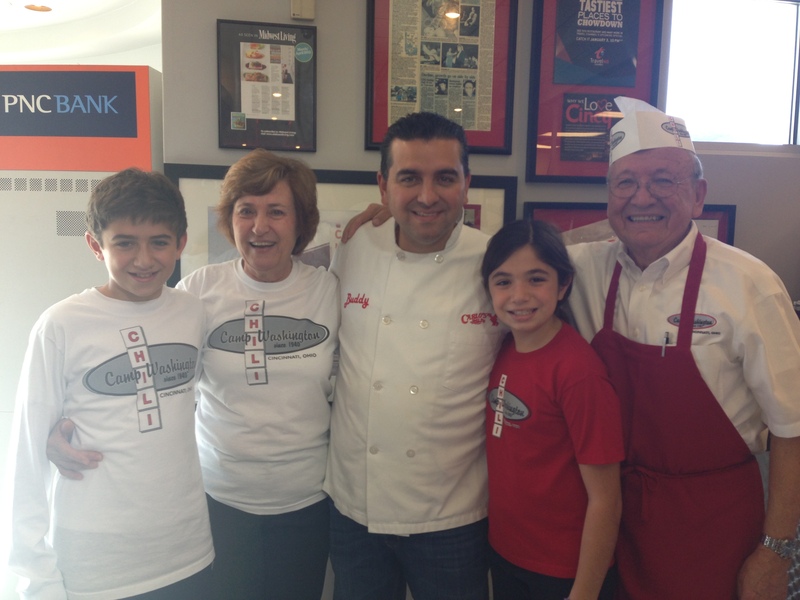 Andrew Knowlton of Bon Appétit names Camp Washington Chili as one of The Best 10 Chili Spots in the US. 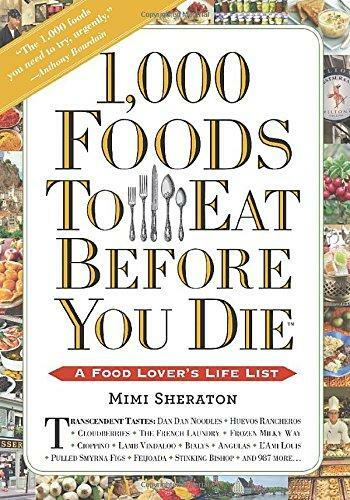 Mimi Sheraton, renowned food critic for The New York Times, Time Magazine, Condé Nast Traveler, Harpers Bazaar, and Vogue visited The Book Club @ 91.7 on WVXU to talk about her book 1000 Foods to Eat Before You Die. 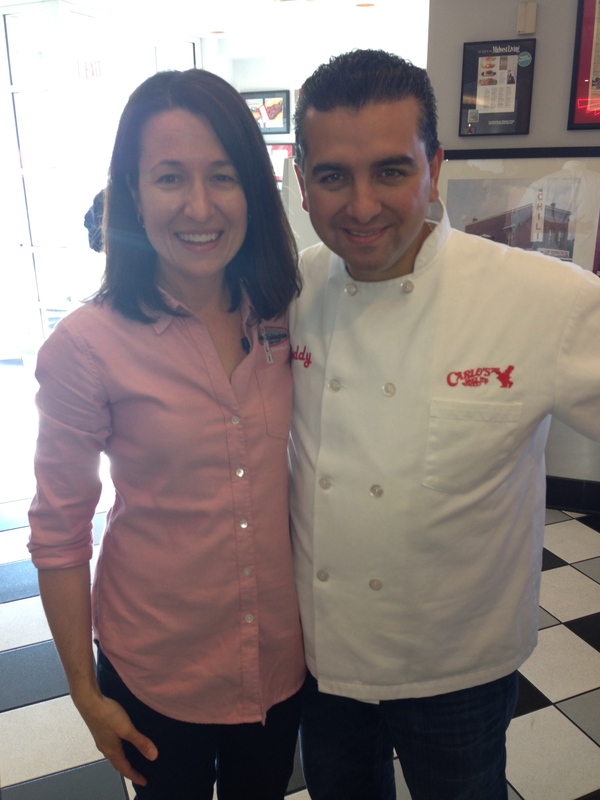 While she was there she had some nice things to say about Cincinnati and Camp Washington Chili. 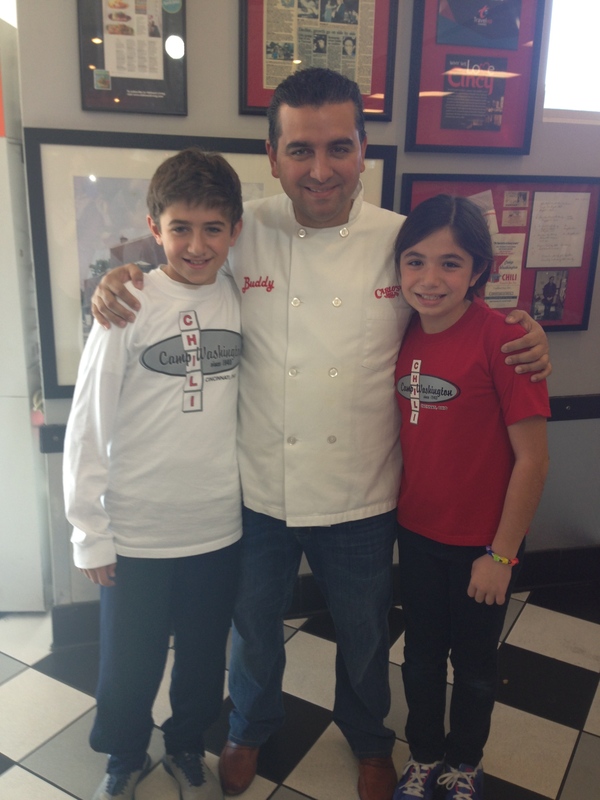 Buddy “Cake Boss” Valastro visited the gang at Camp Washington Chili to sample the tastes of the Queen City. 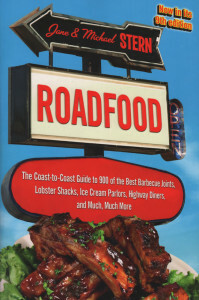 Road Food 10th Edition - "Camp Washington makes the best"